We are pleased to announce that we have completed yet another install at a long standing and loyal customer, Lawrence Anthony! 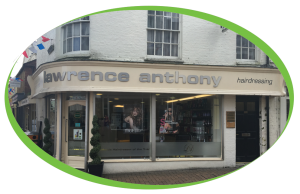 Laurence Anthony is a professional hair salon based in Banbury. The owner Lawrence has achieved great success in his career spanning 40 years and has been voted Midlands Hairdresser of the Year three times as well as being a British Hairdresser Hall of Fame member! Lawrence Anthony prides themselves on their quality of care with each individual and ensures an enjoyable and relaxing visit. Lawrence Anthony have recently upgraded to one of our Bravilor Esprecious Bean to Cup Coffee Machines. The Esprecious makes its espresso with freshly ground coffee beans and a beautiful crème layer. Additionally, it offers other coffee specialities such as cappuccino and latte macchiato.